:: NikG* Life + Style ::: Red. Yellow. Green. Black. 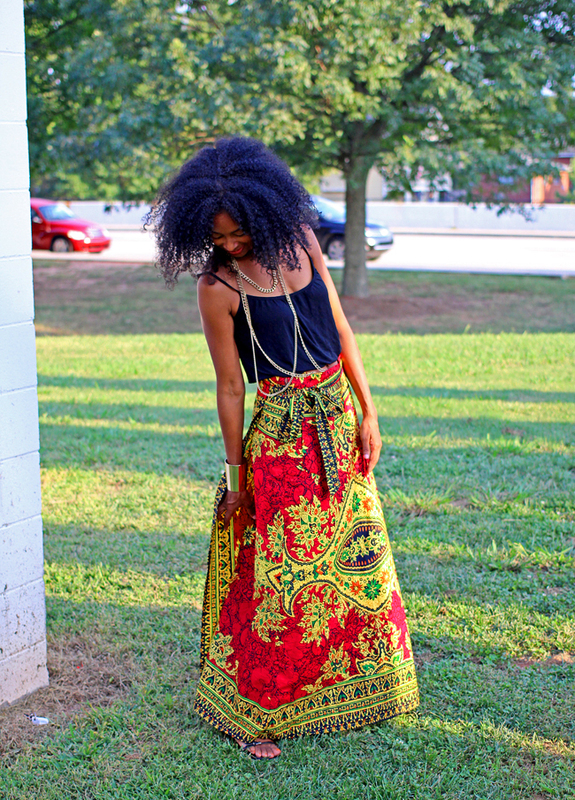 One thing I do love about this skirt are the colors. The richness of them definitely allows it to be wearable all seasons. I can easily picture it with a big sweater and granny/combat boots in the winter. ^^^Thx to my friend for the company and playing photographer with me! you look amazing! what a fabulous look! i love everything about it! A great thift find. 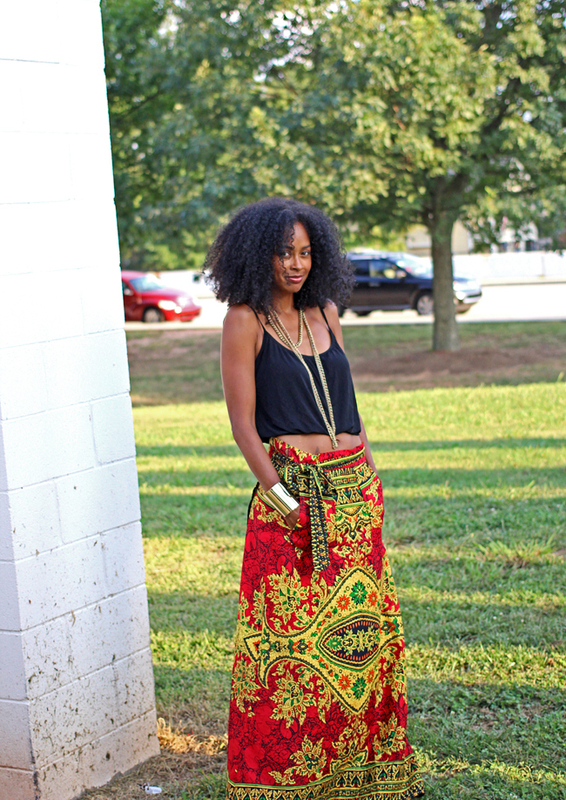 This skirt is HAWT!!! You look great as always. Great look! What a beautiful skirt. Oh my gosh!!! I love your hair! It is so gorgeous at that length! And so much awesomeness in that 3rd pic....girl you are a model! 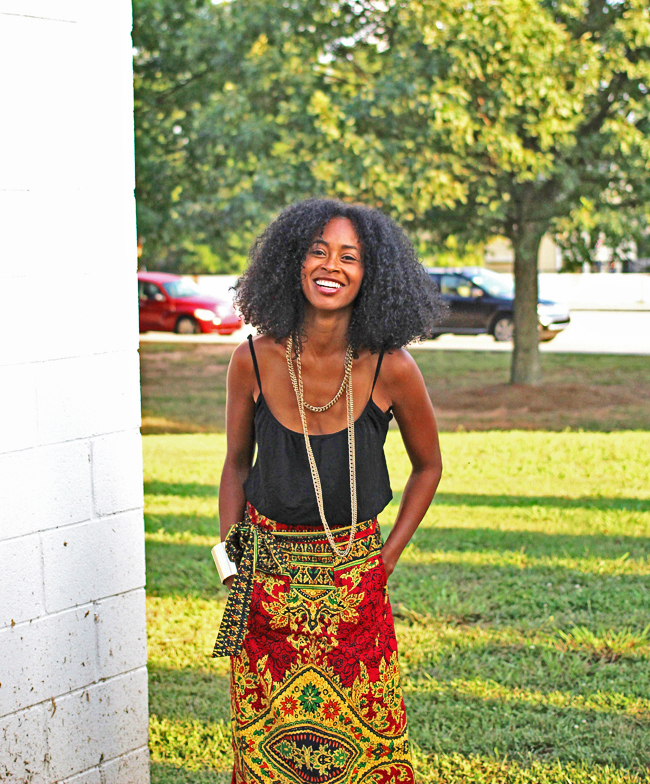 Great blog, great style, I love this look! I think I might have to follow you! LOVE...your beautiful, the skirt is stunning & love that your a fab mom ;-) cheers to you! I am in LOVE with that skirt? lucky lucky thrift find.... is it a specific brand?